The National Championship will take place on April 27-28 at Siena College located at 515 Loudon Road, Loudonville, NY. All matches will be live streamed for free on the NSCRO YouTube Channel. Below you will find the Welcome Packet with the schedule and event details. NSCRO has selected the hosts for the Region 1 and Region 2 Championships. The selection process for the Spring playoffs and National Championship is underway. The Central Region Championship will be hosted by Madison United Rugby on 10-11 November 2018 at the Wisconsin Rugby Sports Complex located at 4064 Vilas Road, Cottage Grove, WI. The East Coast Region Championship will be hosted by Siena College on 17-18 November 2018 located at 515 Loudon Road, Loudonville, NY. 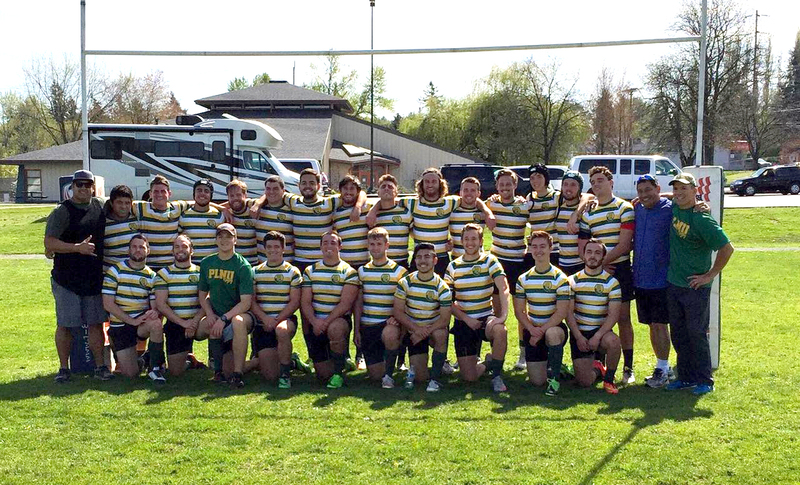 The West Region Championship is set for 30 March between Wayne State College (Mid-America RFU) and Minnesota State University Moorhead. Moorhead will host the match. The scheduled Lonestar RC Challenge Cup team dropped out of the competition. The Pacific Coast Championship is set for 30-31 March and will be hosted by Western Oregon University in Monmouth, Oregon. This year's Challenge Cup Regional finds Vanderbilt University (Dixie CRC) making their first-ever appearance in the NSCRO playoffs...along with playoff veterans from the University of Wisconsin-Stevens Point (Wisconsin RFU), Fairmont State University (Three Rivers CRC) and Minnesota State University Moorhead (Minnesota RFU). Congratulations to the University of Wisconsin Stevens Point on earning the first spot in the 2019 National Championship set for April 27-28, 2019. The Championship field is set with as last year's runnerup Washington & Lee University (Cardinals CRC) makes a return with 3 first-timers - LaSalle University (Mid-Atlantic RC) and Niagara University (Upstate Small CRC). W&L will face LaSalle in one semifinal while Niagara will be matched against UMass-Dartmouth. 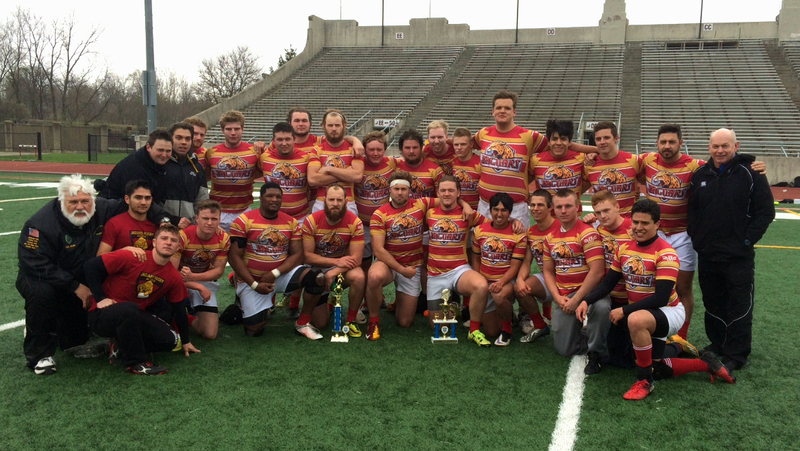 UMD defeated Keene State College 80 to 5 to in the East Coast Qualifier to earn its place. Congratulations to Washington & Lee University on earning a place in the 2019 National Championship set for April 27-28, 2019. Washington and Lee University - 2018 East Coast Champion. Photo courtesy of Jeff Alascio. In the West Region Championship match, host Minnesota State University Moorhead came from behind to defeat Wayne State College 32-22 and earn their first trip to the National Championship. Minnesota State University Moorhead - 2019 West Champion. Photo courtesy of Laurel Hoseth. The Region Championship will feature Humboldt State University (NorCal), Azusa Pacific University (Gold Coast), Central Oregon CC and Western Oregon University (Northwest) on March 30-31. Congratulations to Azusa Pacific University on earning a place in the 2019 National Championship set for April 27-28, 2019. Azusa Pacific University - 2019 Pacific Coast Region Champions. Photo courtesy of Back Light Productions. 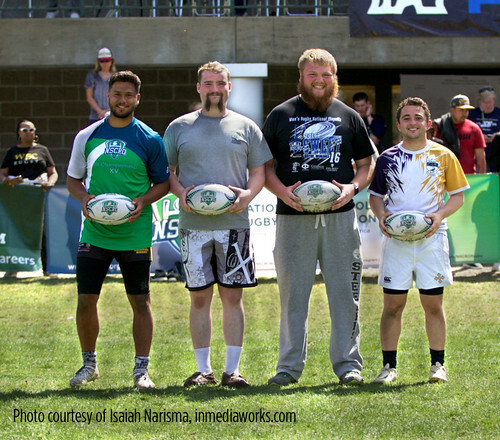 The 2018 NSCRO Challenge Cup National Championship was held at Founders Field in Cheswick, PA on April 21-22. NSCRO thanks Matt Rosemeyer and the Pittsburgh Harlequins RFA on creating this outstanding venue. The 4 Regional Champions who participated were MiraCosta College (Oceanside, CA), John Carroll University (Cleveland, OH), Wayne State College (Wayne, NE) and the University of New Haven (New Haven, CT). This was the first appearance for these teams at a National Championship. When the dust settled, it was the Spartans of MiraCosta College that claimed the title. Read their “Cinderella” story here. The first semifinal was New Haven take on John Carroll. Strong running by New Havens backs propelled them to a 14-10 halftime lead. The tide started to turn in JCU’s favor in the second half but UNH kept pace but failed hold its lead and were edged 29-26. Next up were Wayne State and MiraCosta. Wayne scored first but the Spartans quickly responded with 3 first half tries to take a 21-7 halftime lead. Led by powerful forward play from Pierre Pretorius and Angel Rodriguez along with breakaway runs from center Jeremy Santiago and winger John Edington, MiraCosta won the day 38-19. On Sunday the weather continued to be just right for the players. New Haven faced Wayne State for third place and their attack really clicked for most of the match as they scored 8 tries in a solid 46-12 over the Wildcats of Nebraska. In a final that appeared to be up for grabs, MiraCosta despite getting off to a slow start took a commanding 22-5 halftime lead. Six second half tries by the Spartans found them on top 56-5 at the final whistle and capped their off “Cinderella” season in perfect fashion. The NSCRO Challenge Cup playoff system which was inaugurated in the 2014-15 season for the men's playoff system has about 100 clubs currently participating. 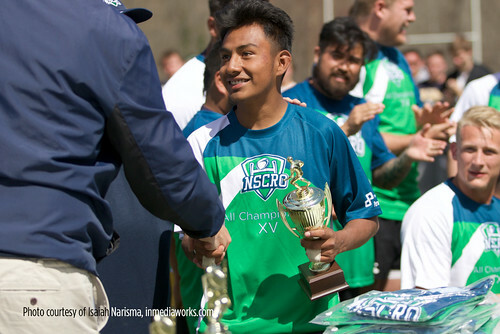 The goal of the Challenge Cup is to further the growth of small colleges who are working hard to reach the top but have yet to find success at the NSCRO’s Champions Cup playoffs which includes more than 200 clubs. The Challenge Cup is helping these teams achieve greater awareness and support on and off the field which, in the past, would have only been possible through a successful run in the larger, more competitive Champions Cup. NSCRO President Steve Cohen remarked that “the importance of the Challenge Cup should not be underestimated as trams find their participation brings better and positive rugby awareness at their school – both from the administration and student body – which will help benefit the club moving forward. In addition, this Championship has sparked alumni interest and financial support. 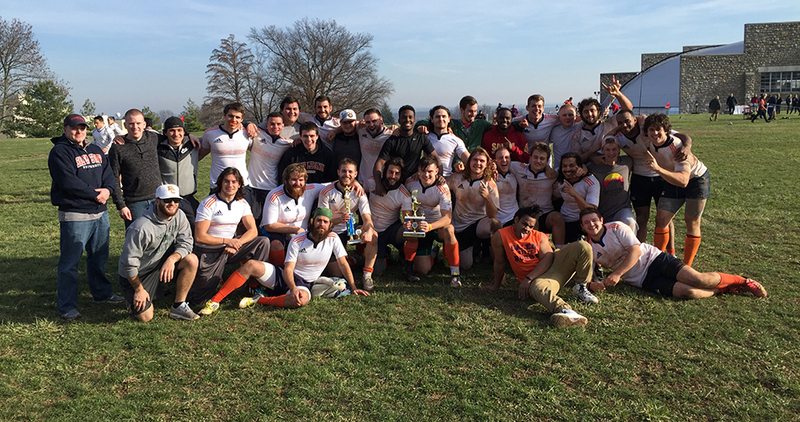 Our goal is to inspire teams that rarely, if ever, have had the chance to be in a National Playoff System and as we continue to help legitimize rugby in the eyes of the schools across the country.” John Carroll University received unexpected and generous support from their school including charter bus, hotel rooms and food allowance for the event. Rhino Rugby – The Official Equipment and Ball Supplier of NSCRO – Visit www.RhinoRugby.com to outfit you team with equipment, apparel and balls that facilitate improve performance. To download a copy of the All-Championship XV team, click here. To view the Challenge Cup Championship videos, go to our YouTube channel. "NSCRO has done a tremendous job for schools like Christopher Newport University and us. There is such a separation between levels and it's great for more teams to have post season opportunities. W&L has 800 men and with varsity sports that comes down to 600 men to make up our team. NSCRO and the Challenge Cup has meant a lot to our alumni, fans, school and players. All have been much more excited about what's happening with our club. The school recently removed two fields to make way for more housing so field space has been a real issue this Spring. Having a post season like the Challenge Cup has helped get us field space and kept practice attendance up. Thanks again for everything." 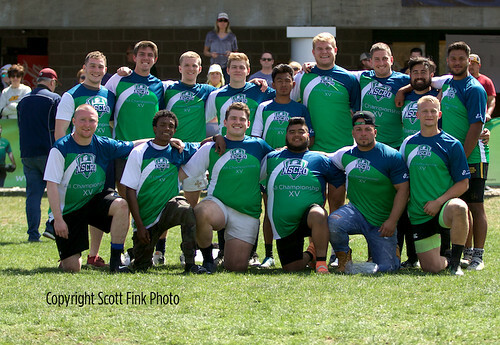 "Even though the rugby club at Pacific has been around since 1908, this is the first time that the club has achieved such success and it has greatly increased awareness both on campus and off. Attendance at home games was doubled this year and both on campus groups and alumni have been very supportive. Financial support from the school for travel has been very generous and fundraising has been more profitable than usual due to our greater exposure." 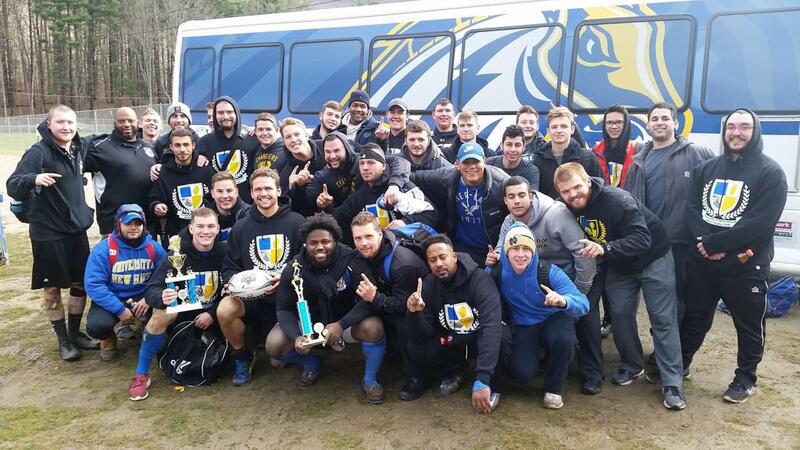 "With our club making it to the NSCRO Challenge Cup National Championship it has brought lots of excitement to our campus and opened many students eyes to the great sport of rugby. We have also had a tremendous increase in support from our alumni and the community here in Greeley. We have received the support of a few companies from the Denver area to help fund the trip to Nationals. The excitement created by our recent success should ensure that UNC Rugby will continue to grow and improve over the next couple seasons!"